Not too long ago, I was at my favorite Asun and foamy liquid spot, at Ikota/VGC in Eti-Osa East LGA, killing off the afternoon and wondering when my phone will buzz with the usual “where are you?” signaling time to face westwards. I sat with the usual set of young entrepreneurs, employees on leave and those breaking their home bound trip after work, etc. So you can imagine the gist drifting from politics to LASG greed, BH, real estate, latest market initiatives and how much your appearance opens doors for you “in this Lagos”, etc. So who is the alternative in PDP and what are their policies for Lagos, especially towards generating IGR to sustain a teeming and burgeoning population of 18M or so? As they have done where? Akwa Ibom. Have you been there? Do you know what their population, monthly allocation, 15% derivation, rate of urban growth, diversity of population and general scope of development is? What is the service charge used for? Really? How many security personnel do you have in that estate? How much is the average salary they earn? How much NEPA light do you have and how does that affect diesel usage! How many houses are in your estate??? Ok. Did you know that VGC probably has thousands more residents than your estate and their water is not free…it is metered at point of use. Do you attend residents meetings? Have you volunteered to be part of the budget process? “Who has time for that nonsense meeting when all they do is to go there and argue. Hiss”. “Why is LASG trying to register residents? I bet they are up to no good. Is the population census not enough? All they’re after is more tax. That is all they know”. Ok, where you counted in the last population census? “At home…in my home state. Not Lagos”. Did you know that you would be unable to vote in Lagos? How do you intend to elect your PDP government? Silence. Looks at others for confirmation. So I used the opportunity to talk about the benefits of the LASG resident’s registration. LASSRA. Still not buying. “As for me o, I pray the Labour Party wins in Lagos. Tinubu’s hold is too strong abeg”. Who are the Labour Party prospective candidates? Who are their party leaders in Lagos? “All I know is that my state governor is From LP and he is doing very well”. Are you talking about Ondo state? Please give me some examples of his good works. “Hmmm… He built an ultra-modern market, he has renovated schools and he pays teachers’ salaries promptly”. Yes, I have. I would have preferred them to have built a coastal alternative road before tolling the Lekki/Epe express. I would like them to eradicate trading at the Ajah roundabout and build a flyover there. I wish they could do more in providing power by bringing in an investor to float a power plant in our axis…this is even as they are still the most ventured state government in IPPs. I would also like them to build a proper general hospital in the Lekki-Ajah axis, etc. But I have no regrets paying for all the services I enjoy both in my estate and at state level public utilities, tolls inclusive. So we leave, one after the other. Some prompted by their phones, others simply back to their businesses, etc. I drove home with different sound bites from that conversation on my mind. These are educated folks in their 40s. Civic responsibility is still a challenge with us today. How do we grow our country when we just don’t understand our part as citizens? Are those coming after us any better? Who are their role models? Same folks who would not want to pay taxes at home are planning trips abroad where people pay up to 40% taxes…. You want to change a government and you are registered to vote in your state of origin and not in your state of residence? People still do not know what pull they are on a society when they are not counted as residents? They don’t know how this is factored into revenue allocation and distribution of social amenities…a population of ghosts! There is work to be done folks. Guys, how do you handle a situation where your son just cannot move? I mean, when your child dances like a whitey (lol). A few months ago, I had cause to rant about this on another forum. Please enjoy. My son is going to be 4 soon and he still can’t dance. Sigh! No, it’s not down to shyness. And yes, I also could not dance when I was even 10. I grew up a shy kid. Watching him dance to my morning exercise playlist….hmmm…not good. Since he got back from a holiday and got impressed by a much older cousin (Bobos) doing some kick boxing-break dance type moves and doing the “helicopter” on his head, we haven’t heard word in this house again! He now jumps off key and kicks about, prancing from one end of the room to the other like Oyinbo Abaka! Why can’t he just stay on one spot and deliver? Ah ah! Now watching him move to his favorite tunes “paper” and “pull over”. No rhythm! I consider this a personal affront. Don’t worry; he’s a boy, so I’m not scared of bum bum dance or any of that other hoochie mama stuff. He’s got the 007 license. Just bust a move son! Not sure how to handle this…Now Sekem is playing and he’s saying “Daddy come and dance it”…make I go show am the move and hope he follows…wish me luck guys. That is what captains do. They are the last to leave…they ensure everyone is safe. They put themselves in harm’s way. They tell evil “you would have to pass me first!”. 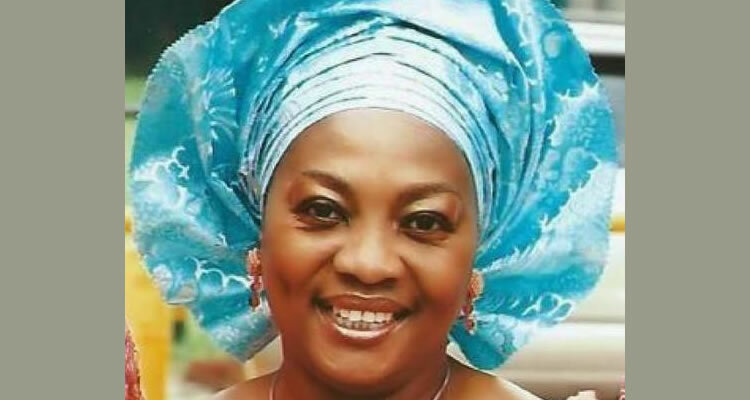 Dr. Adadevoh saw Nigeria as her ship. She was reported to have not only ensured Sawyer was tested for Ebola, but prevented him from leaving the hospital by bodily putting herself in harm’s way! She did not make excuses…even with having a wonderful family with expectations. It was a progeny that came full circle. Her great grandfather, Herbert Macaulay, set us on the path to Nationalism; she took the baton several eons later and saved us from a potentially debilitating plague. As the Yoruba’s say, “bibi ire ko se fowora”. Dr. Ameyo Stella Adadevoh – this is dedicated to you…for all you have done. The constitution does not guarantee two terms, he would have to win elections. “APGA came out openly to support GEJ and they will not be fielding any candidate at presidential”. Oh, I see. They must be benefitting from this government to the extent that they don’t need any instability. “Yes na. Continuity, so that the transformation go kuku complete”. Bro, the eastern roads are some of the worst in the country. They must have other reasons for supporting him. And do not generalize, there are lots of Yorubas supporting PDP. There’s Buruji, Abati, Okupe and now the latest billionaire in town, Ayeni. No, Ayeni. He donated N5B to the campaign. And he’s Yoruba. What other support does GEJ need? Oh, so you know say N5B na money and not votes abi, ok. Nice one. Meanwhile the agent don answer you? (He’s moving to Lagos from Warri). So na so the Lagos enter your body? Shuo! I think say una governor dey do well before o. “Abegi! No be only! With him bad head. Him and him wife don kolobi all the contract for the full Delta. Only that one e Sabi. the guy no work abeg. So no be the same APC wey you no like naim dey make Lagos good for you to wan come so? You no think say dem suppose go work for the whole Nigeria from Abuja?